Euthanasia Prevention Coalition Euthanasia Prevention Coalition: Colorado 2018 assisted suicide report. Large increase in deaths. Incomplete data. Colorado's second assisted suicide report indicates a large increase in lethal prescriptions but the report lacks significant data. Link to 9news.com news report. - the report does not indicate how many people actually died by assisted suicide. It is difficult to know how they determined that 125 people were prescribed lethal drugs. The report states that they received 109 forms from the prescribing/attending physician, 90 patient request forms, 84 consulting physician confirmations, 86 medical dispensing forms and 104 death certificates. Finally, of the 125 people who were prescribed lethal drugs, no one received a Mental Health confirmation. The State of Colorado wants you to believe that nobody who was prescribed lethal drugs was experiencing mental health related problems. 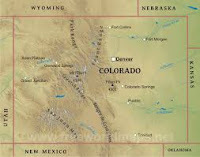 The Colorado assisted suicide reporting system effectively covers-up possible problems with the law. The law requires the physician who prescribes the lethal drugs to send-in a report. Self-reporting systems ensure that problems are hidden since people rarely self-report problems. 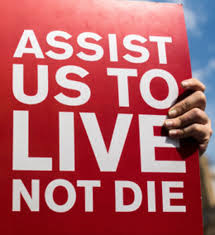 According to the report many of the physician reports were not submitted and they don't appear to know how many people actually died by assisted suicide.